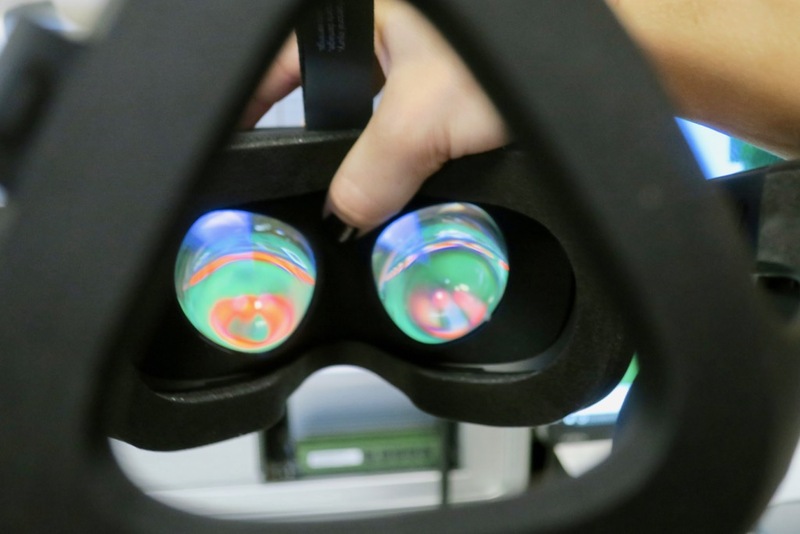 Are you a Mac user who’s intrigued by the idea of Virtual Reality (VR) gaming? I was too but quickly realized there’s currently no support for VR on the Mac platform. The biggest name in Virtual Reality right now is the Oculus Rift VR headset and sensor. 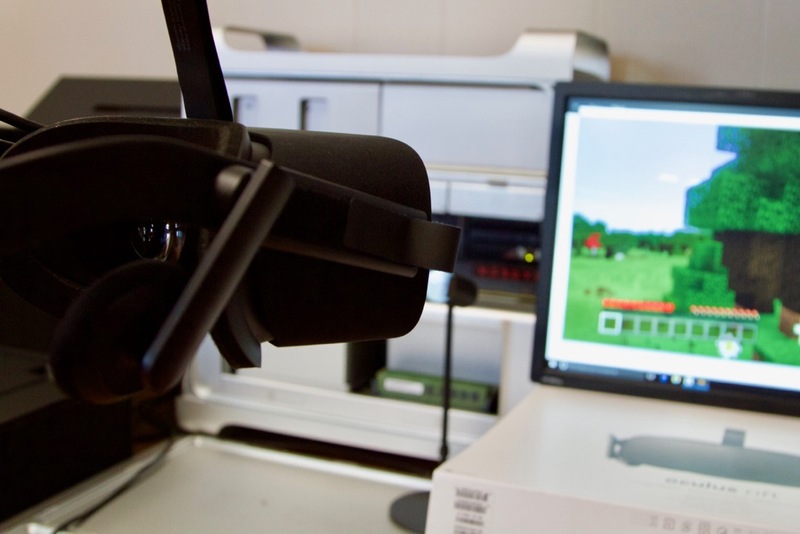 Oculus’ founder said he would have liked to make the device compatible for Mac users but that unfortunately none of the Mac computers in Apple’s current lineup has the graphical horsepower to run it. He’s right. Apple has always taken the safe and arguably low-cost route when it comes to graphics cards, also referred to as video cards or GPUs (graphics processing units). The most powerful graphics card setup currently available from Apple is in the Mac Pro 6,1 (late 2013 model) – a dual D700 GPU that is the equivalent of a dual AMD Radeon 7970 GPU. This card came out nearly five years ago. In order to run Oculus Rift or HTC Vive, you’ll need USB 3.0 ports and a much more powerful graphics card. At a bare minimum an Nvidia GTX 970 or AMD Radeon RX 470 card will get you in the game. The challenge with a Mac is that almost all internal components are proprietary. This poses a problem. You can’t simply buy a replacement GPU from Best Buy or MicroCenter and swap it in. There is hope though. 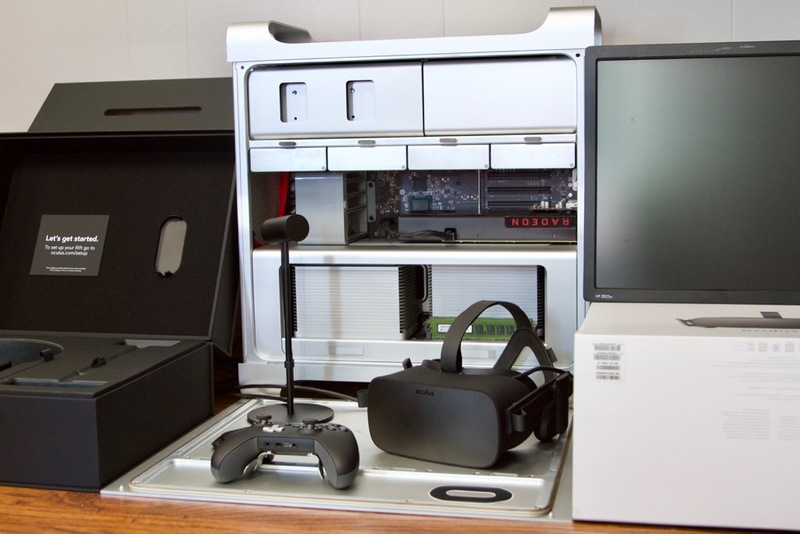 In order to install one of these newest generation GPUs and make your Mac VR compliant, you’ll need a computer with PCI Express ports. The Mac Pro tower is the only modern Mac which has PCI Express ports. Even though there’s no official support from Apple, you can modify Mac OS system files to enable drivers for AMD GPUs. If you choose to go with Nvidia GPUs you can install web drivers directly from Nvidia. The last requirement is the installation of Windows. 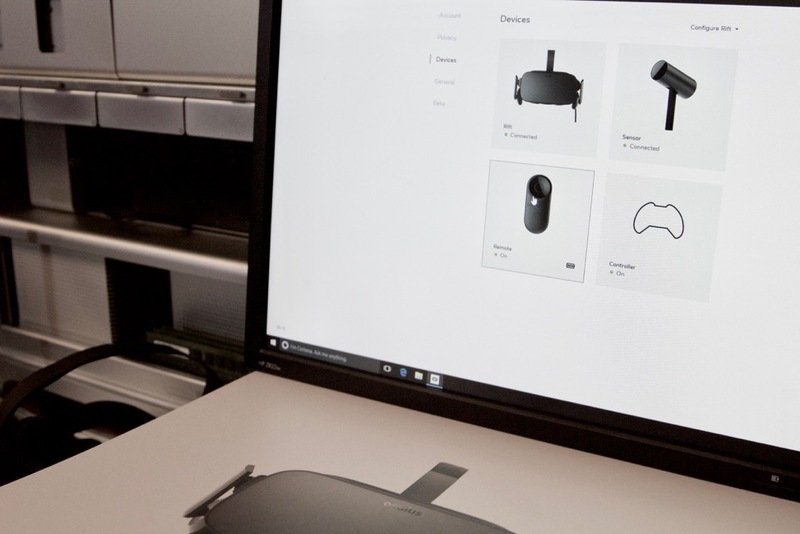 Oculus Rift software and all Virtual Reality games are only available on the Windows platform at the moment. I have successfully installed an Nvidia GTX 980 Ti as well as an AMD Radeon RX 480 while running Windows 10 on the Mac Pro tower. If you don’t have a Mac Pro tower, the next best option would be to make use of your Mac’s Thunderbolt ports. You can build or buy what’s called an eGPU, an external graphic processing unit. An eGPU is essentially an enclosure of a PCI Express port. It can house a full-length graphics card and connect to a Mac via the thunderbolt ports. I will detail this setup in my next post about Thunderbolt eGPU. Unfortunately the upcoming lines of Mac computers will have fewer input/outputs as well as fewer upgradability options. USB-C based Thunderbolt 3, a new type of USB connector that does it all, will make its debut on the new line of Macs. Hopefully it will enable software and game developers to provide a more native VR solution for the Mac platform. In the meantime, you can use this same approach to get in on the virtual reality game with your Mac.